Following a serious accident in which she crushed her spinal cord and fractured her skull, Cronau found herself watching the 2008 Paralympics. 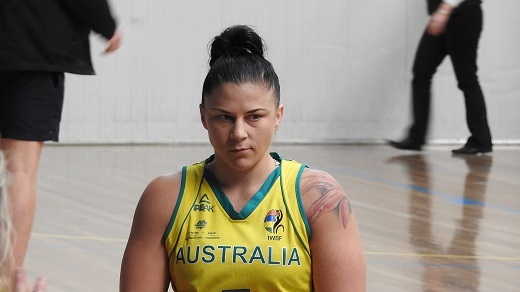 It was then that she decided to take up wheelchair basketball, playing her first game in the WNWBL for the Sydney University Flames just two years later. She earned Rookie of the Year for the league in 2010 before joining the Queensland Comets back in her home state of Queensland. In 2014, she was captain of the team when they won the Championship while also winning a silver medal in the NWBL with the Spinning Bulllets and capping off her spectacular year with the Sporting Wheelie of the Year award. On a national scale, Cronau made her debut with the Gliders in 2011, winning silver at the Osaka Cup in the same year. She helped the team qualify for the 2012 Paralympics with a victory at the Asia-Oceania Zone Championships before going one better at the 2012 and 2013 Osaka Cups, winning gold. Heading overseas to play around the world including in Spain, Cronau then returned to the national team and under coach David Gould, pulled on the green and gold again at the 2018 World Championships in Hamburg, Germany.